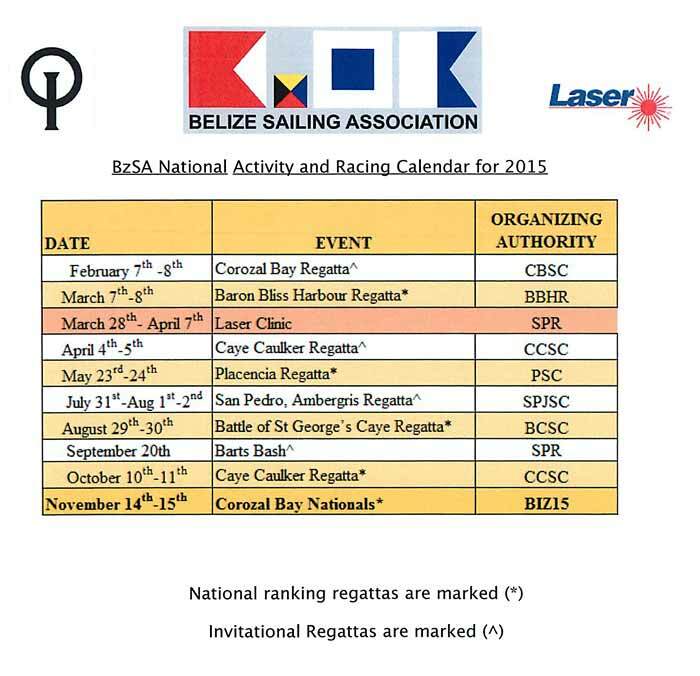 This is the Belize Sailing Association Event Calendar. The difference between the two types of regattas on the calendar is that the 5 regattas with National Ranking implications form the 2015 series of regattas that will determine Belize's 2015 Optimist Dinghy Sailor of the Year, and other honors as well. The invitational regattas are just for the pleasure of participating. They remind all that the First Rule of sailing is to Have Fun. You will note that one of the invitationals, the Corozal Bay Regatta, has already taken place. Twenty four sailors entered and raced. Belize City Sailing Club's Antonio Ricardez, edged out the reigning National Champion Blanca Velasco of San Pedro Junior Sailing Club to take home the trophy. The winner's sister, Nashira Ricardez, from the same club, took 3rd place, and Belize Sea Scouts' Trent Hardwick came in 4th.